Yup. It's a good time to be a food blogger. Chip companies just keep on going, searching for weirder flavors, mixing chemicals like they're egotistical crazy scientists on a series of never-ending dares. "What? 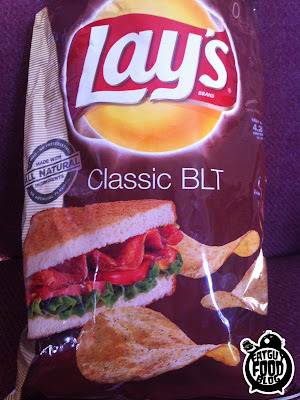 You think I can't make a chip taste like a BLT sandwich? HA! I'LL SHOW YOU!" "I'LL DO IT! I SWEAR! 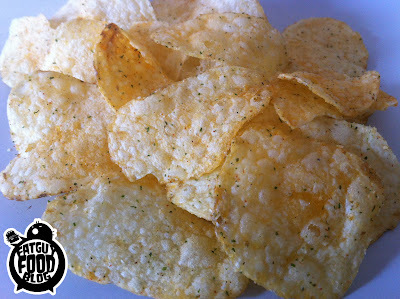 I CAN MAKE CHIPS TASTE LIKE ANYTHING I WANT!" 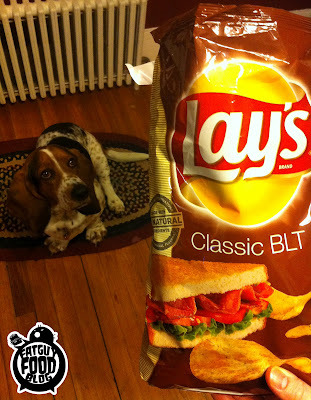 When our friend let us know that he had seen Lays BLT chips at a Hannaford, I thought he was making it up. When I went to 3 different stores looking for them, I was sure it was some horrible joke. How could something like that exist without me knowing about it? When I finally saw them at Walmart last night, I almost laughed out loud. When I finally tasted them, I actually did laugh out loud. Why? 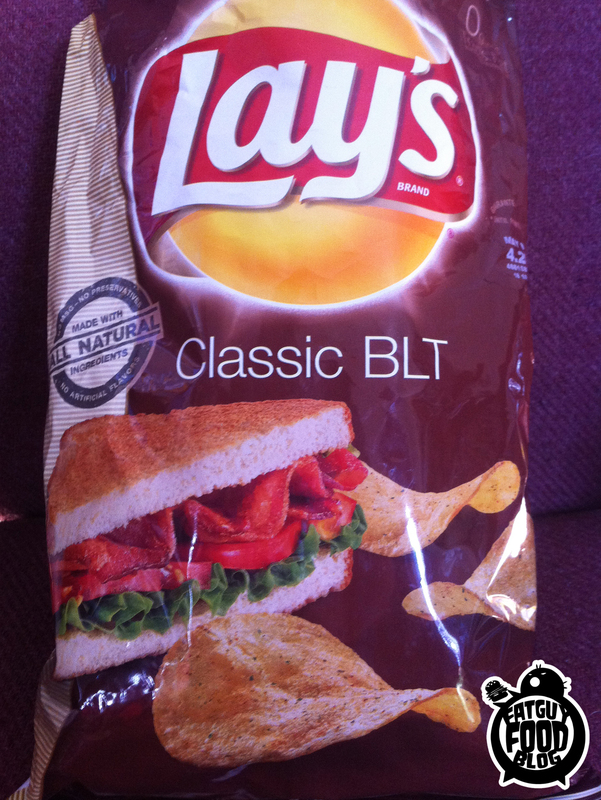 Because they taste exactly like a BLT sandwich. Try them, you'll see. You'll taste bacon first. Then a weird bread/mayonnaise combination. Then a hint of tomato. You'll never taste lettuce, because maybe, just maybe, that's the 1 flavor they couldn't mimic. But let's be honest here, is the L really that important in the BLT? It's pretty much a filler if you ask me. It's the bread, mayo, tomato and BACON that you want. And that's exactly what you'll get in this bag of chips. The only problem with these may be the one thing that plagues all weird flavors of chips- lastability. Apparently that's not a word, but you know what I mean. Do they get old quickly? 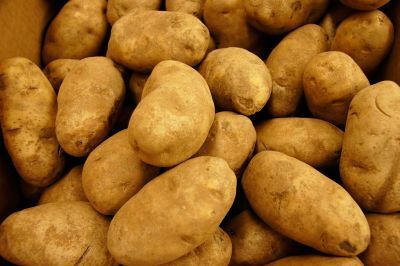 Do you want to eat more than 20 of them? Is this a flavor you want to accompany a meal? 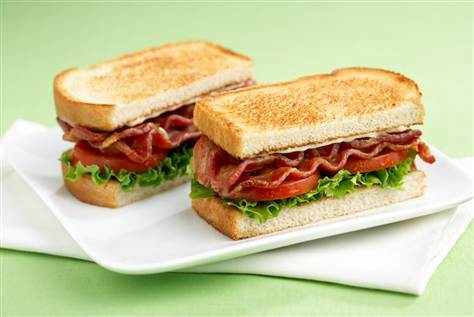 Do you want a BLT sandwich as a side to whatever else you're eating? That's the question. I found that initially, I didn't think they'd work, but when I had them next to a chicken and broccoli flatbread sandwich today, they were still pretty awesome. Overtime, I mostly tasted bacon and the weird but very awesome bread/mayo combo flavor. And slightly weird bacon chips work well as a side. SO, let's hope these last, because although I may not get them as much as some of the other classics on the shelf, these are definitely worth snacking on from time to time. 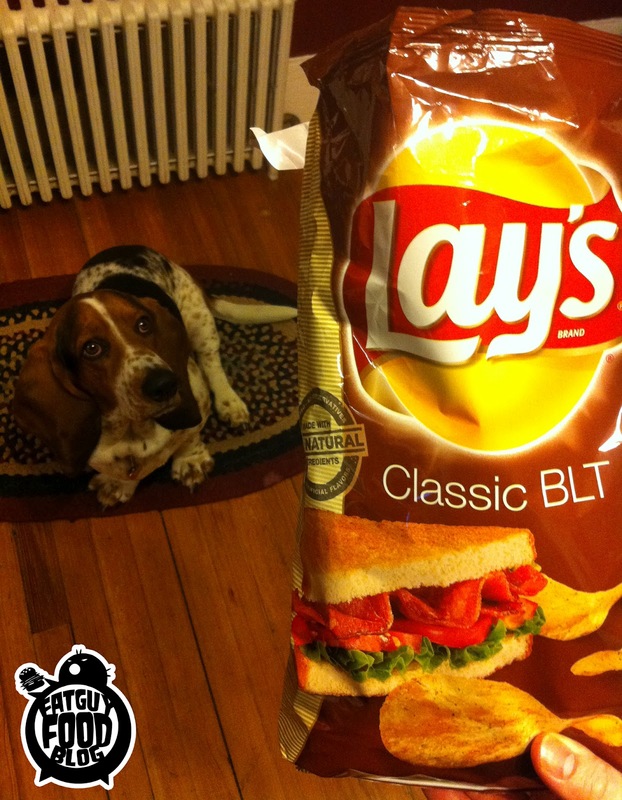 BLT CHIPS! What will they think of next?! 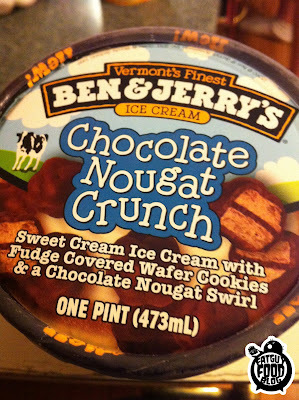 The fine gents at FATGUYFOODBLOG.COM like nothing more then stumbling upon new flavors of Ben & Jerry's while visiting the supermarket. However a dilemma usually presents itself when one of us goes there solo, and there are two new flavors. That happened to me the other day when I found CHOCOLATE NOUGAT CRUNCH & CHOCOLATE THERAPY. You see, fat guys don't want to be seen buying multiple pints of ice cream at once, to keep the illusion that perhaps they aren't nearly as fat as they look. 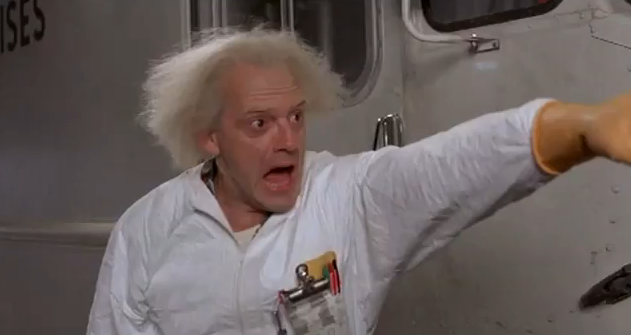 TWO PINTS?! Why the lady at the register would probably point and laugh. 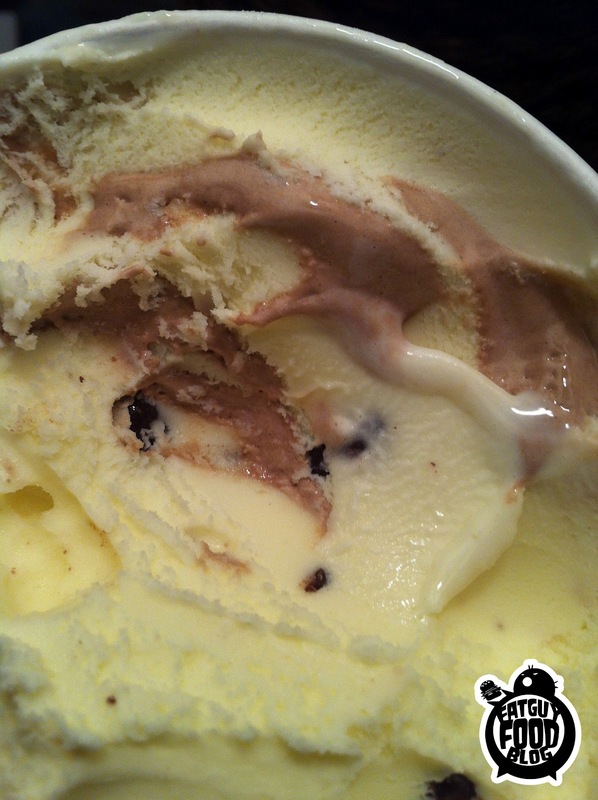 Sweet Cream Ice Cream with Fudge Covered Wafer Cookies & a Chocolate Nougat Swirl... I thought this sounded like a neat mixture, while the Chocolate Therapy was just a handful of chocolate items together that sounded like it might be a Chocolate Overload. So I went this route. 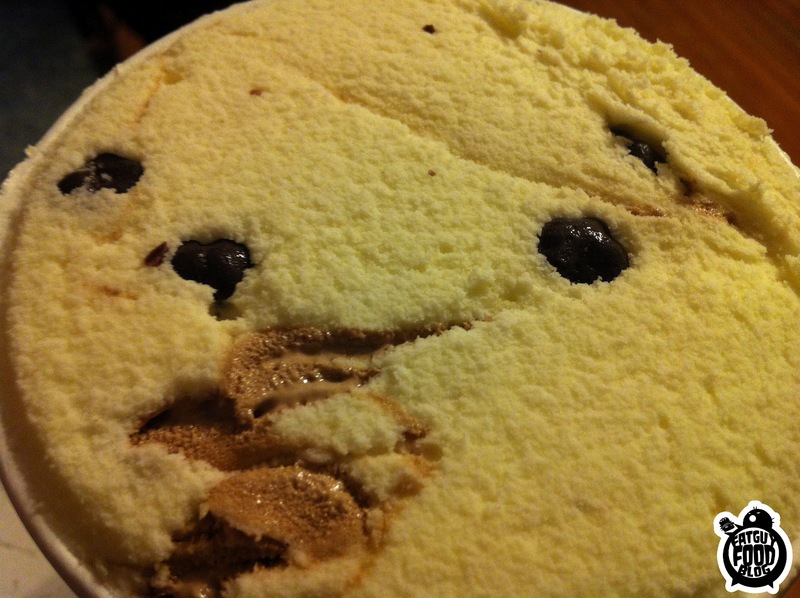 First off, the ice cream itself, Sweet Cream Ice Cream, to be exact, is nothing special. It's....sweet. It's like generic ice cream. It's not even vanilla. It's just ice cream that is sweet. Then there's the Fudge Covered Wafer Cookies. They are alright. A little nugget of wafer cookie surrounded in waxy chocolate to keep it from getting soggy. Sometimes this didn't work, and you find ones that obviously had sprung a leak and you bite in and it's squishy. It reminded me of the Chocolate Covered Peanut Butter Pretzels in Chubby Hubby. Except that worked much better because the pretzels were salty to offset the sweetness of the ice cream. These? They are just sweet. And crispy. Except when they are squishy. Peep that Nougat swirl. Like finding Gold in the Rockies. Then there's the Chocolate Nougat Swirl. There's lots of it. Huge, thick veins running through the pint. It's tasty, like nougat tends to be. Creamy and chocolate. You'll find yourself digging at these veins and following them to their end, while leaving the rest of the ice cream to melt. It's not a bad ice cream, but it's not great. The Nougat Swirl is the best part and the Wafer chunks are okay. But it feels like they forgot something here. Just something the break up a bunch of sweet things combining to make a bigger sweet thing. There needs to be a different flavor to make things interesting. 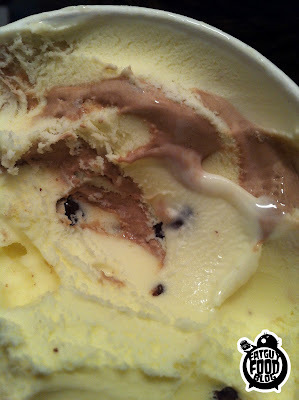 Seeing that I may have made a bad decision, I went back to the store a day later the grab the other pint and planned on doing a post with both flavors, but Chocolate Therapy was gone. It's shelf empty. But there were still a few Chocolate Nougat Crunches left. 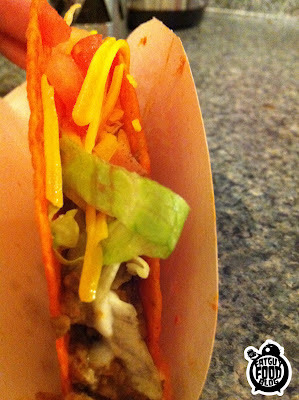 I give it a straight C.
Is there anyone out there who REALLY likes a regular old hard shell taco? The crappy hard shell, that keeps you from being able to load ridiculous amounts of toppings onto it? The hard shell that is usually tasteless and the instant you bite it, it shatters into a thousand pieces and dumps the taco's innards onto your shirt and lap? Are there really people that like these? Sigh. Apparently, yes. I don't understand it. But there are. I, myself enjoy a soft taco, if I'm going to eat tacos. But for the most part, I just don't eat them. Why? Since we got a Chipotle within driving distance from here, I very rarely venture into Taco Bell. I prefer premium ingredients to fast food. Call me a snob but it's true. 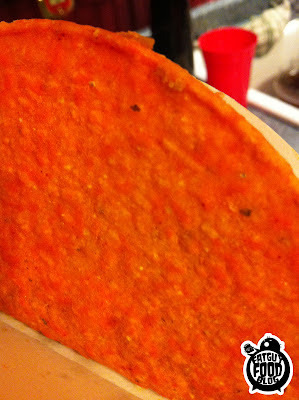 But that didn't stop me when I heard that Taco Bell was making a taco with a shell made out of DORITO. In fact, I was excited about it. I heard about it a month ago and then it vanished from my brain. Until I was driving home last night and saw the huge sign in the window of taco bell as I blew past it in the Fatguyfoodblogmobile. Instant U-turn and I was ordering a couple to go at the drive through. Whaaaa? A taco with a DORITO SHELL??? So for starters, the thing is TINY. Hard shell tacos are small anyway, right? This one? Feels like you can barely fit a taste of each ingredient in here before the thing is filled to the brim. How many tacos like this are you supposed to eat in one sitting? 15? See? Is it even an inch wide? My first bite found that near the bottom, where the beef touches the shell, it was pretty soggy. The next bite, near the top? Mostly crispy...but it felt slightly stale. Did it taste like Doritos? Yeah...kinda. I mean, the taste is definitely there, if you lick the outside of the shell, it's that same Nacho cheese flavor. You can't deny it. But it could have more of the flavor. I feel like it gets lost with the other taco flavors and isn't as intense as it should be. The biggest flavor is the gross beef. Yes. Gross. It's like they shred up rancid animal carcasses and toss a bag of Mexican spice in it. It's just nasty. So that was the big strike against it in the first place. 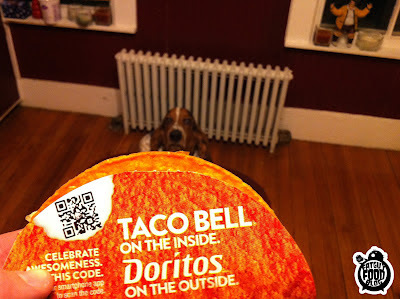 I tried to put my hatred for Taco Bell beef aside to do this review, but let's be honest here. It was really tough. Should you try this? SURE. it's cheap and everyone is talking about it, so why not? Will you love it? Doubtful. Unless you are a die hard Taco Bell fan, I can't see anyone raving about it. But try it. It's a taco with a DORITO SHELL! I give it a C. And that's being nice. But if you want to see an awkward video of me reviewing this thing, HERE YA GO!